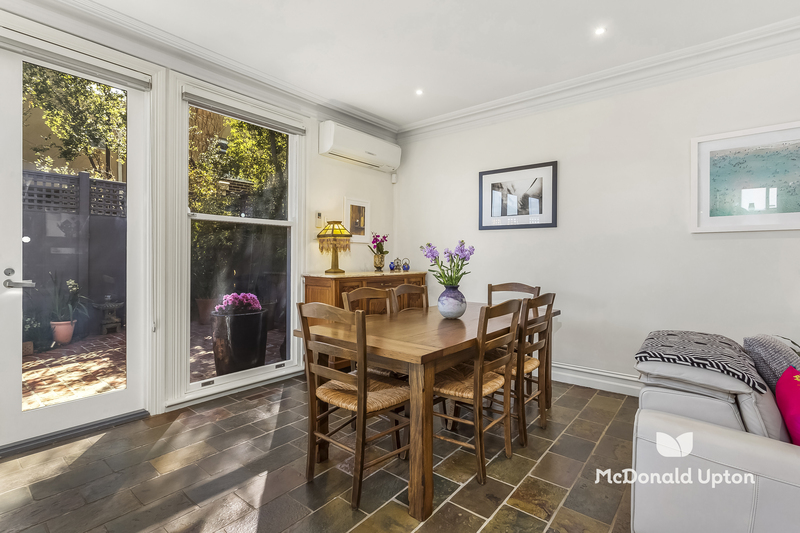 Nestled in a quiet, leafy locale with excellent street appeal, there is more than meets the eye as you explore this stylish, immaculate home. 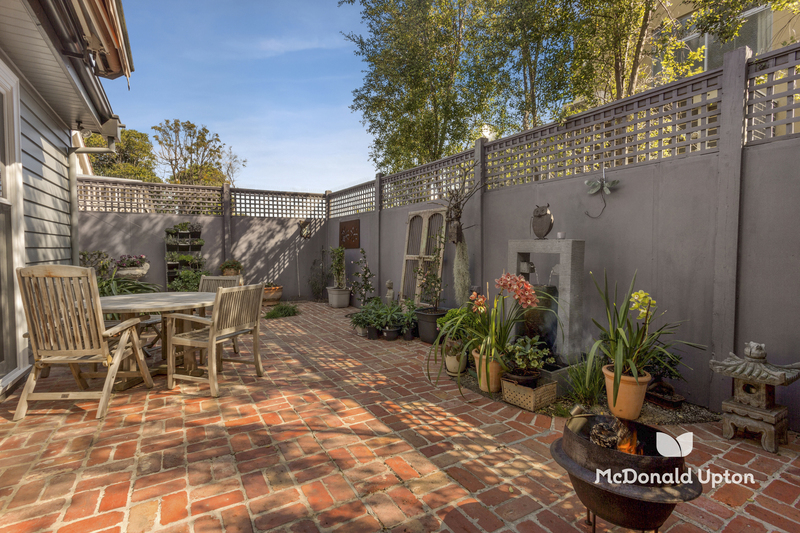 Beyond a traditional facade lies a renovated home of impeccable quality, with bright, open living spaces, a sense of space throughout and a deceptively large private courtyard. 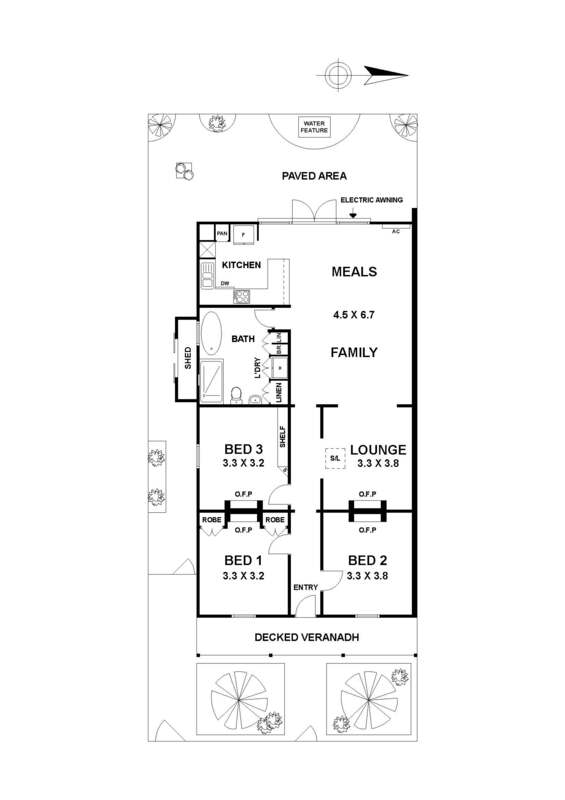 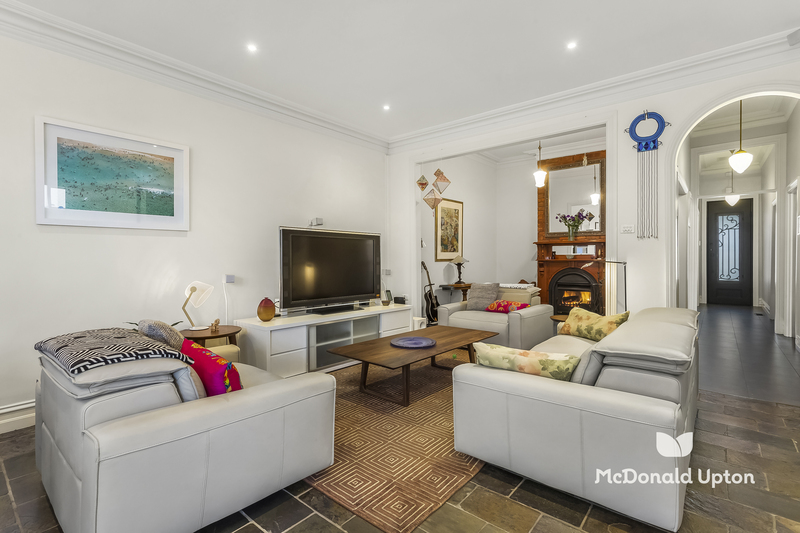 A versatile central living area has pride of place, complete with Jetmaster fire (one of four fireplaces) and complemented by a highly practical corner kitchen with breakfast bar and Caesarstone benchtop, dual ovens, integrated dishwasher, Caesarstone benchtops and soft-close cabinetry. 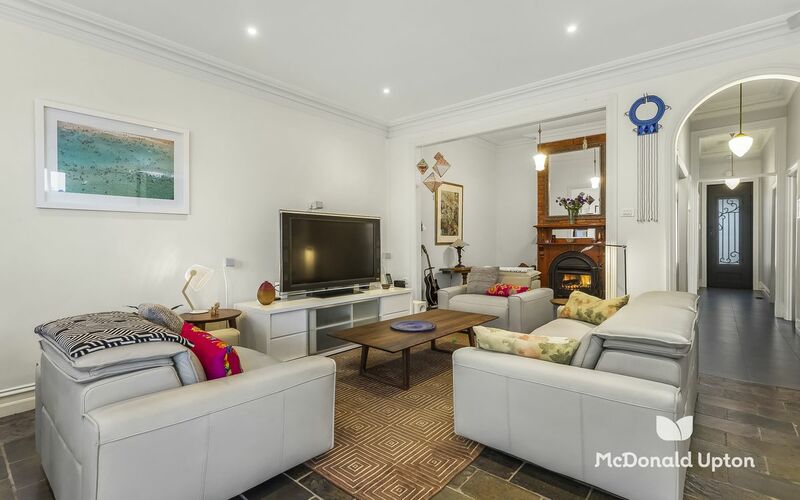 Traditional origins are reflected in an array of features including pretty decorative ceilings and ornate fireplaces, while every modern comfort has been considered with central ducted heating, reverse cycle heating/cooling to the living room, double-glazed front and rear doors, solar panels and automated rear awning for shade. 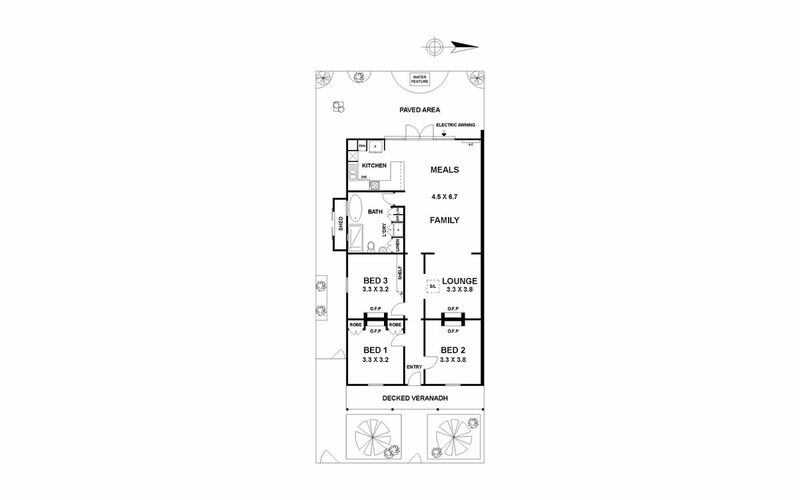 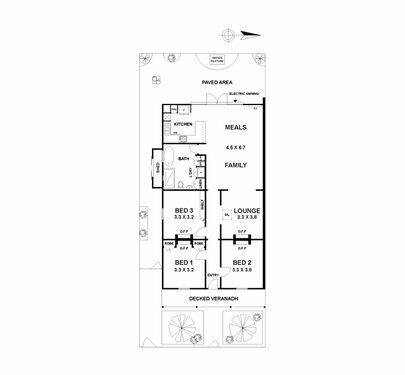 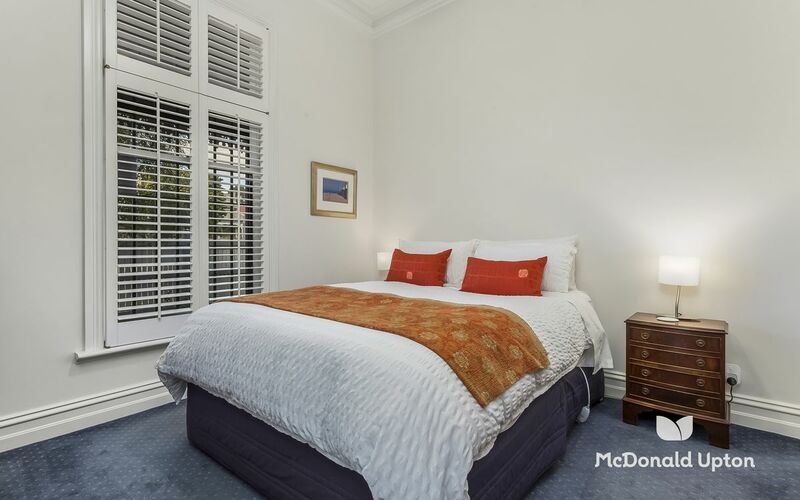 Two air conditioned front bedrooms one with BIR and pretty plantation shutters, while a third generous bedroom has an abundance of built-in storage, with a huge and stylish central bathroom with heated floor also boasting further storage and european laundry. 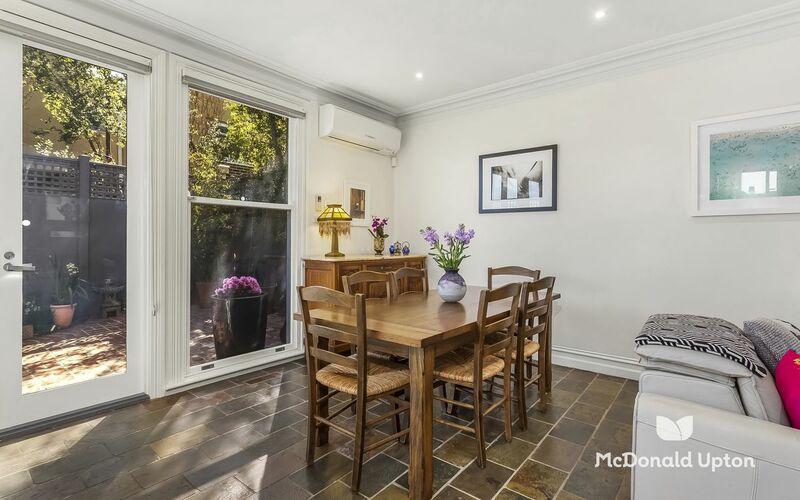 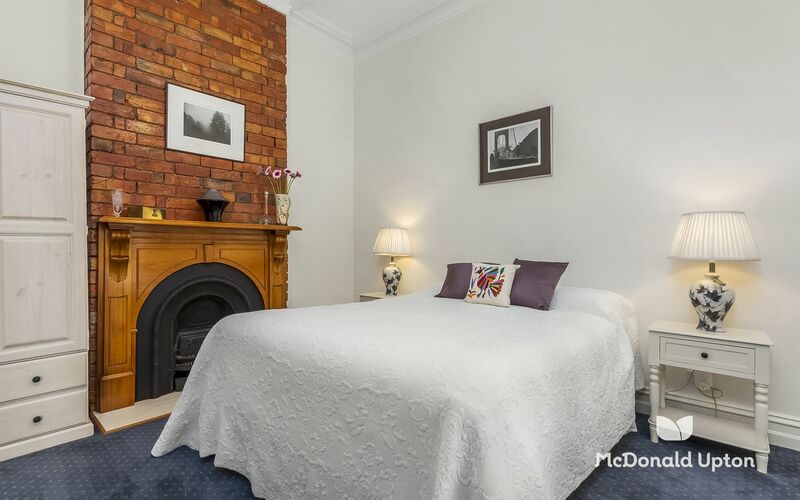 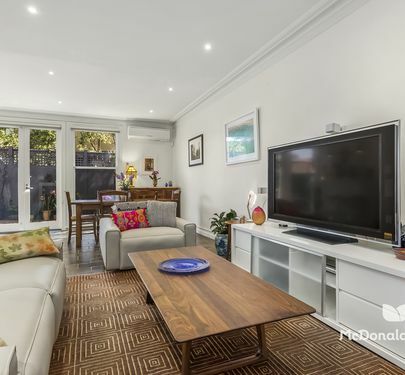 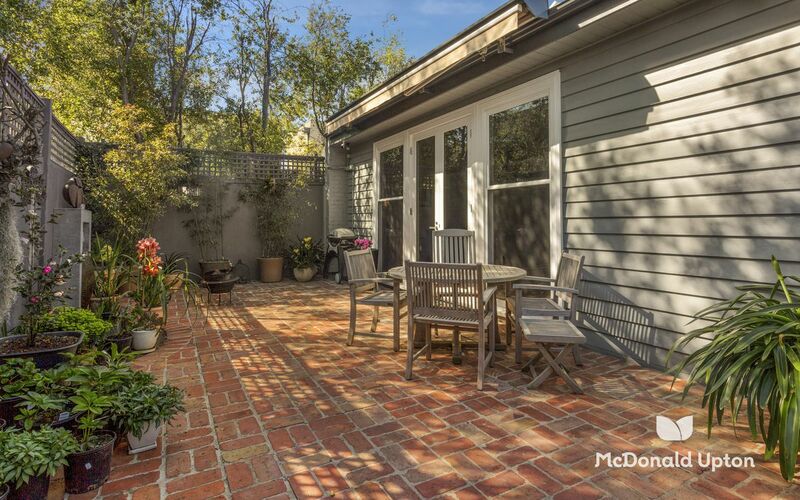 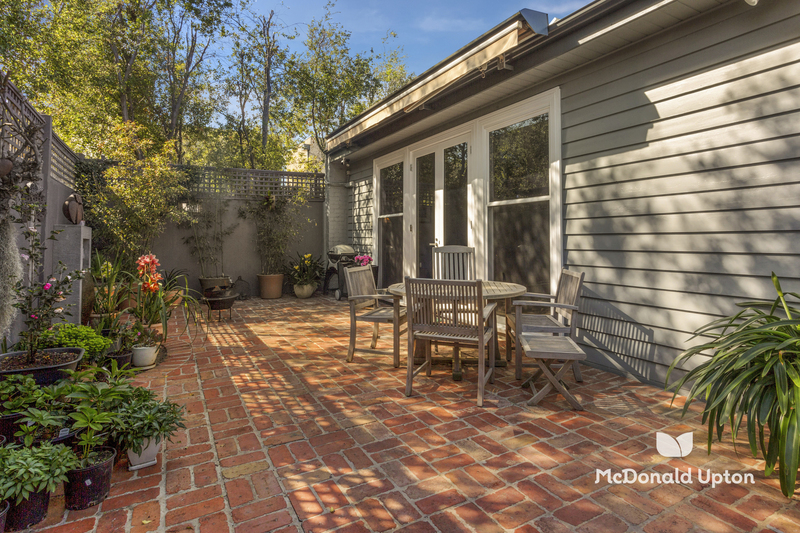 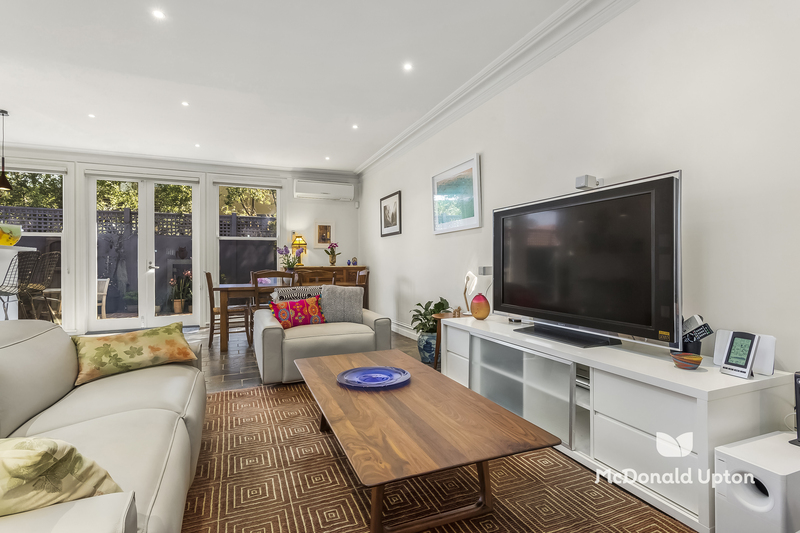 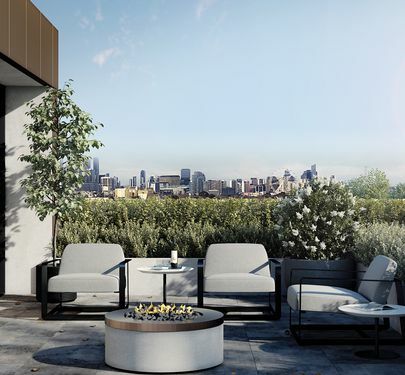 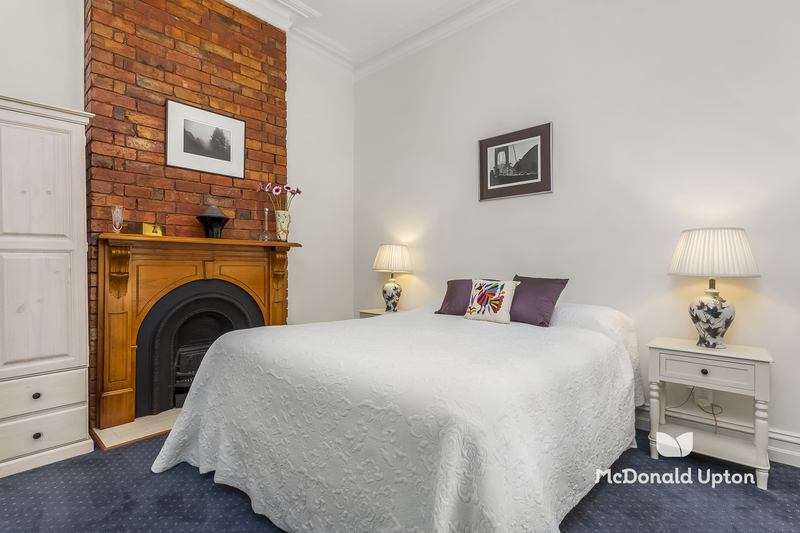 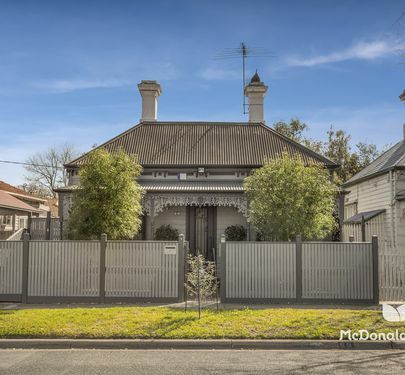 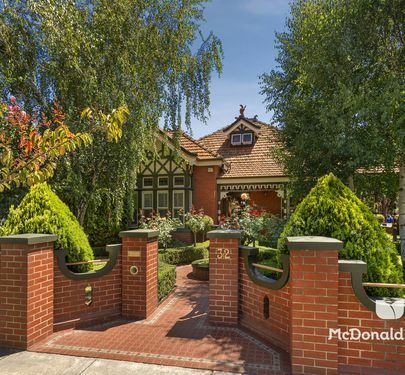 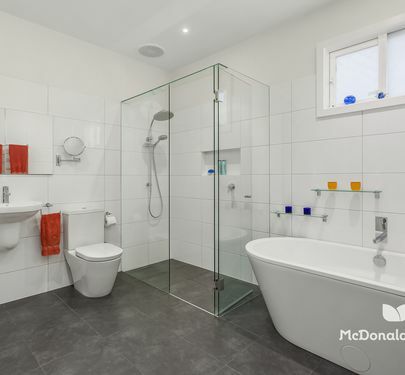 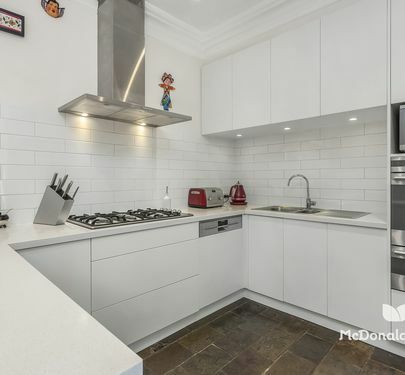 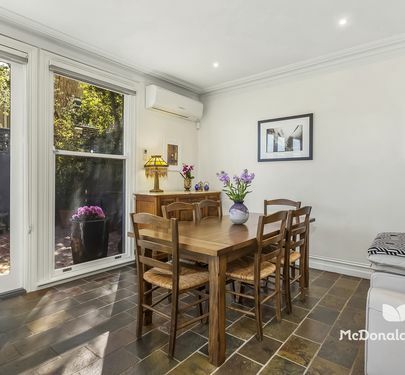 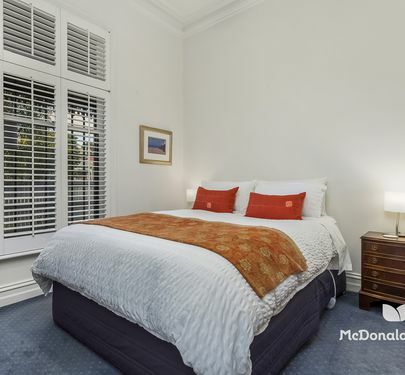 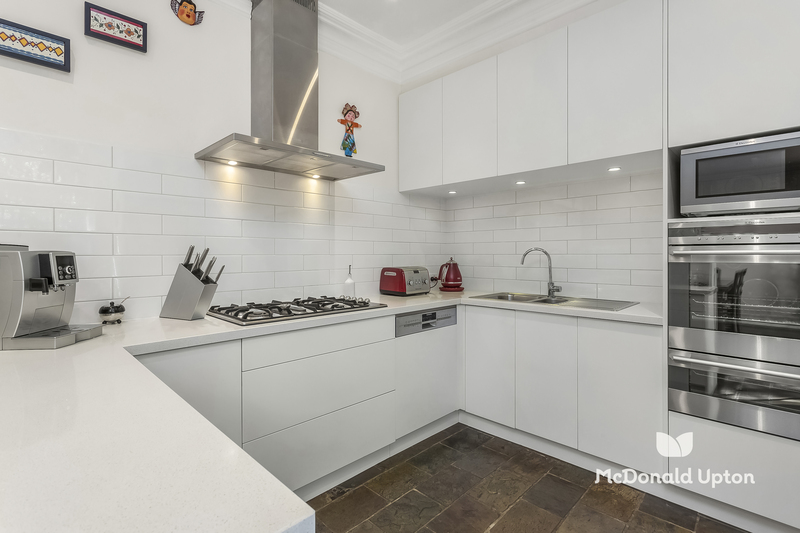 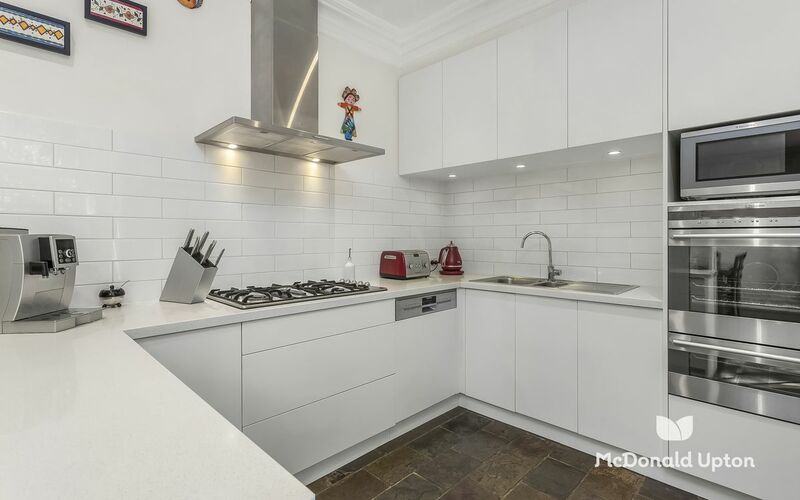 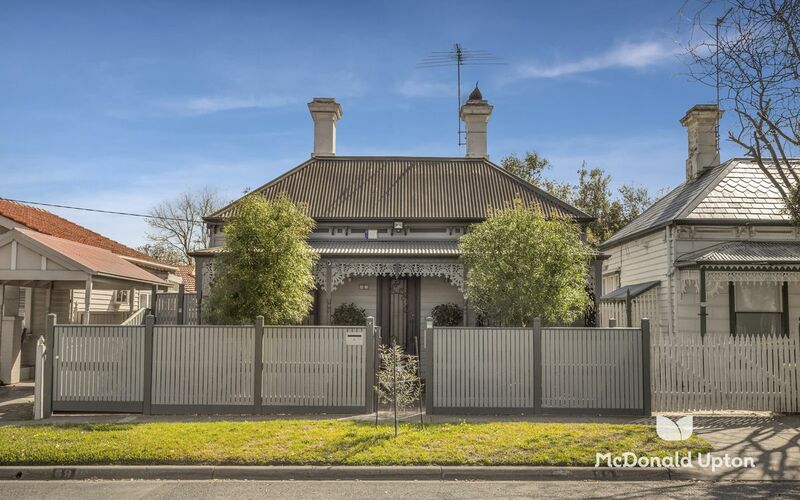 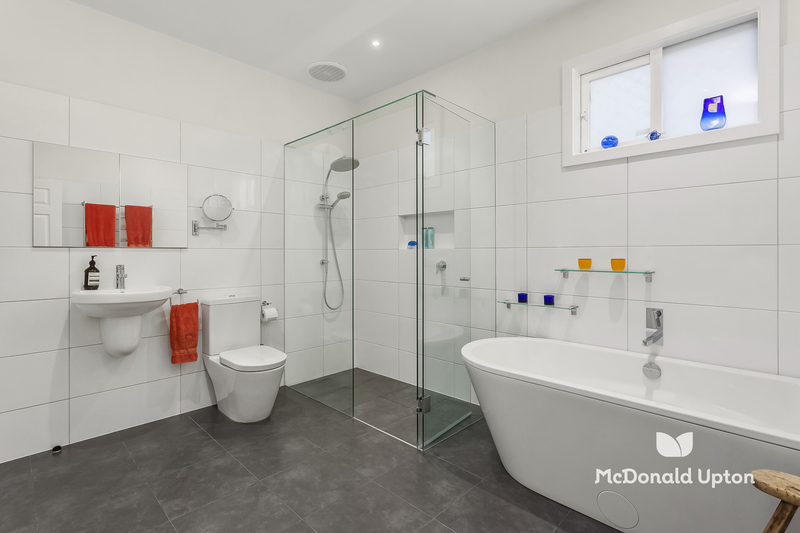 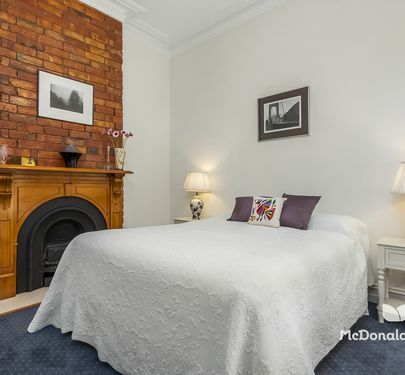 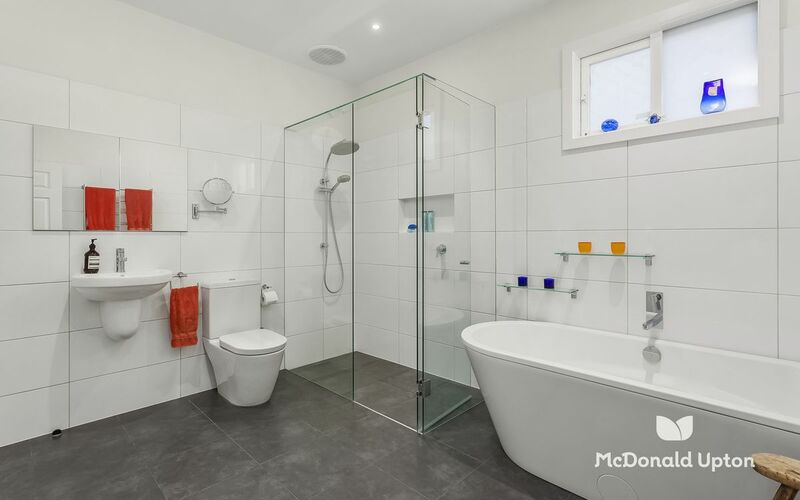 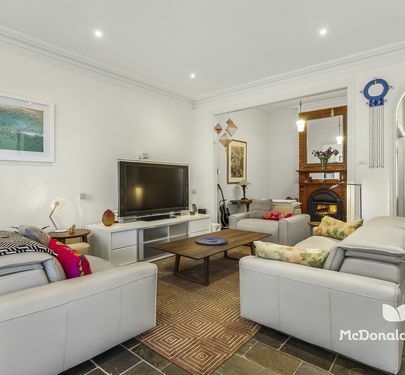 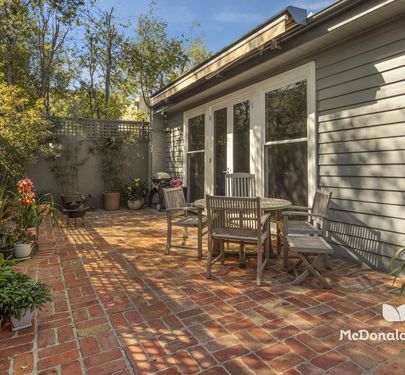 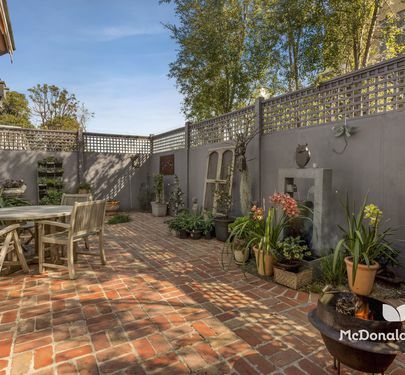 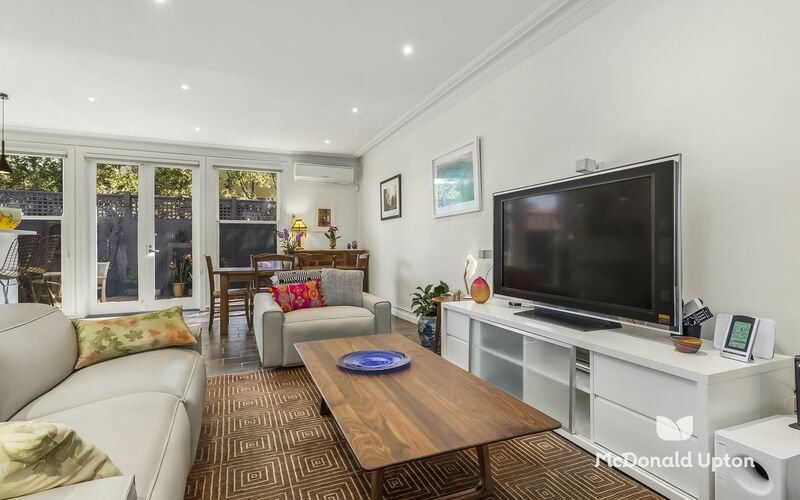 A stone’s throw to the river and its delightful parks and Moonee Ponds West Primary School, this spacious and low-maintenance home is also just a short walk to city trams, buses, trains and Puckle Street shopping.